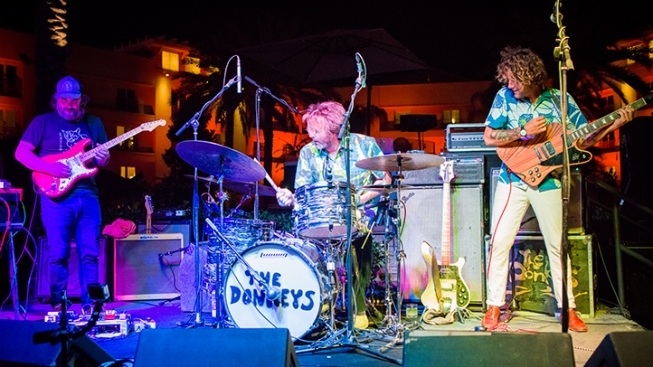 The Donkeys are set to perform at the 2019 SDCCU Festival of Arts in North Park in May. Boasting a legacy that spans nearly a quarter-century, the San Diego County Credit Union Festival of Arts in North Park -- set to take place on Saturday, May 11 -- has announced its 2019 music lineup. As in years prior, the free fest takes over nine square blocks along North Park's University Avenue (30th to 32nd Street) with street art, interactive exhibits, 35 types of craft beer, local vendors, gourmet food and five stages of live, local music. This year's roster of scheduled performers is delightfully eclectic (and packed with San Diego Music Award nominees/winners galore) with the Donkeys, Cumbia Machin, Sol Orchid, Casey Hensley, Miki Vale, DJ Artistic, Euphoria Brass Band, Marujah and the Parker Meridien sharing stages with the Kabbs, Mimi Zulu, Montalban Quintet, Scary Pierre, Mochilero All Stars, Erika Davies, Nathan James, the Havnauts and many others. For a full lineup, visit their website here. 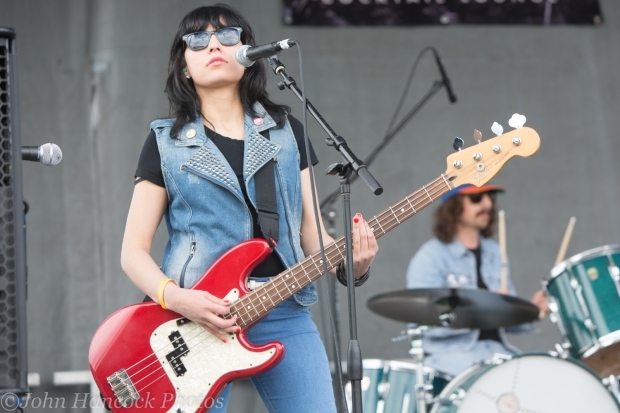 In stark contrast to other local festivals that seem to focus largely on one or two genres over and over again, this year's SDCCU Festival of Arts rewards the musically adventurous -- and nearly every demographic under the sun -- with a smorgasbord of vastly different, fantastic sounds. Whoever booked this fest, my hat goes off to you. Of course, music's not the only thing bringing folks out to the neighborhood. There's also beer (we're in San Diego after all) and lots of it. Thirsty 21-and-up patrons can saddle up to the festival's Craft Beer Block, where they can purchase full beer pours or wristbands to sip 4-oz. samples from on-hand breweries, as well as partake in food from some of North Park's favorite eateries. Pre-sale Craft beer Block tickets are currently $27 here. Featured breweries include Modern Times, Second Chance, Thorn Brewing, Belching Beaver, Mike Hess Brewing, Thirty Two North Brewing, Booze Brothers Brewing Co., Latitude 33, and North Park Beer Co., among others. Running from 11 a.m.-10 p.m., festival organizers expect more than 40,000 attendees to flood the streets. The yearly event benefits North Park Main Street, a nonprofit organization that "promotes development in arts, culture and entertainment while preserving the historical integrity of the North Park community." With a widely varied musical lineup that better represents the diversity of San Diego, the 2019 SDCCU Festival of Arts in North Park is truly something worth celebrating. Dustin Lothspeich is a San Diego Music Award-winning musician, Senior Associate Editor at NBC SoundDiego, and talent buyer at The Merrow. Follow his updates on Twitter or contact him directly.